Performance Rights Disputes: What Are They and What Causes Them? What is a Disputed Claim? For as long as recorded music has been around, there have been those who have claimed wrongful ownership, either by mistake or being unaware of the rights they control. The good news is, in today’s music landscape there are checks and balances in place to help stem the flow of human error, technical limitations and in some cases, plagiarism. These disputes are an important line of defense for the master owner. 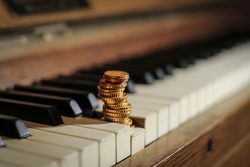 Without them, anyone could claim any song and collect those royalties. In its simplest form, a disputed claim occurs when two or more parties claim they have rights to collect income for usage of the recording. * If Label A is claiming ownership of a track at SoundExchange and Label B submits a claim of ownership on that same track, then they are in conflict and it generates a dispute. Other performance rights organizations may call these overlaps, double-claims, conflicts, or a variation of these. Receiving a dispute notification may seem alarming. The collections society informs you that payment has stopped and that unless one of you concedes your rights, you will remain unpaid. On top of this, if you control a large number of master recordings, then this happens pretty often and is likely to keep happening. What causes a Disputed Claim? These societies do not deal in publishing or copyright, they instead care about the audio component of the song. Who owns the master, who produced it, and who performed on it, that is who gets paid. How are disputes resolved and how can they be avoided? email relinquishing one’s claim, another may require legal proof of ownership. Regardless of their requirements, parties in dispute must communicate with one another. This communication not only resolves the dispute, but may also lead to its origination. Knowing the cause can help resolve other disputes or even stop future ones from occurring. In the end, the best way to avoid future disputes is to stay educated on this ever-changing landscape. Understand why they happen and what you can do to be as dispute-free as possible. *Not to be confused with YouTube’s disputed claims, which are a result of a YouTube user contesting a claim made by a rightsholder on that user’s video.